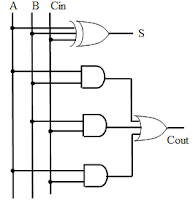 Combinational digital circuits are those circuits where output is function of present input only. 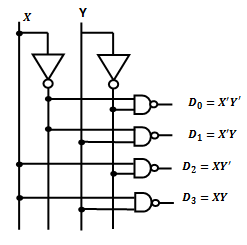 Let’s discuss these circuits in a comparison table format. Output is function of Present input. Output is function of present + previous inputs. Used to construct finite state machines, a basic building block in all digital circuitry, as well as memory circuits and other devices. Registers, Shift register, Counters etc. 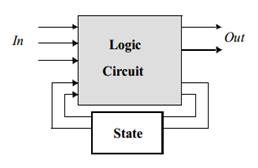 The construction of Sequential logic is generally done using State tables. The change in the input signal can effects the memory elements at any instant of time. 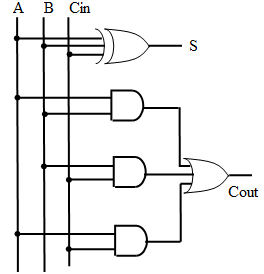 Because of the absence of clock, Asynchronous circuits can operate faster than the Synchronous Circuits. Let’s discuss few of the combinational circuit’s details (like Block diagram, Circuit Diagram and Truth table). I am not discussing in detail about the circuit diagram here because these are very straight forward. In few cases, if you have any confusion, you can refer any basic electronics books. Or you can use K-map to figure out the equations which is mentioned either in block-diagram or circuit diagram. 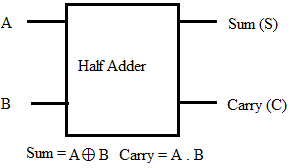 Half adder can be converted into Half Subtractor with an additional inverter. 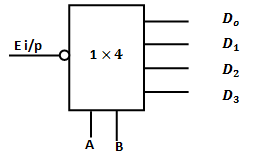 Full adder can be implemented by using two half adders and an OR gate. 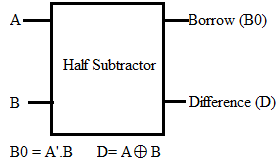 Full subtractor can be implemented by using two half- subtractors and an OR gate. 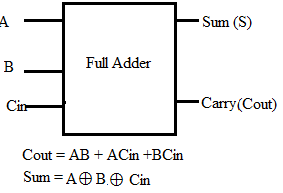 Full adder can be converted into full subtractor with an additional inverter. 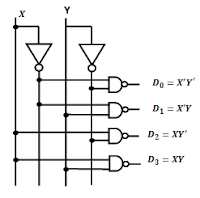 4 full adders with input carry for least significant bit full adder is zero. Converts binary information from ‘n’ input lines to a maximum of 2n unique output lines. Active high output type of decoders are constructed with AND gates. Active low output type of decoders are constructed with NAND gates. 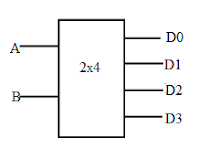 3 to 8 line decoder is also called Binary-to-Octal decoder or converter. 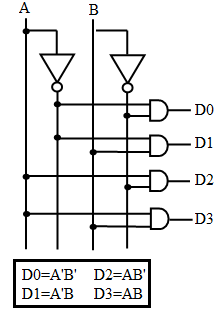 It is also called 1of 8 decoder, because only one of the 8 outputs is active at a time. Decoders are widely used in the memory system of computer, where they respond to the address code input from the CPU to activate the memory storage location specified by the address code. 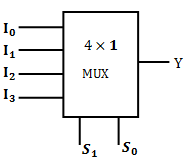 In the next part of the combinational circuits we will discuss about the MUX with few examples in detail. The reason, I am discussing MUX separately because it has several important things which usually asked in the interview. Also it's very important from VLSI designing point of view.